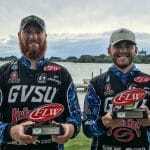 SANDUSKY, Ohio (Sept. 10, 2018) – The Grand Valley State University duo of Lucas Murphy of Walker, Michigan, and Nolan Hitt of Midland, Michigan, won the YETI FLW College Fishing event on Lake Erie presented by Berkley Saturday with five bass weighing 19 pounds, 2 ounces. 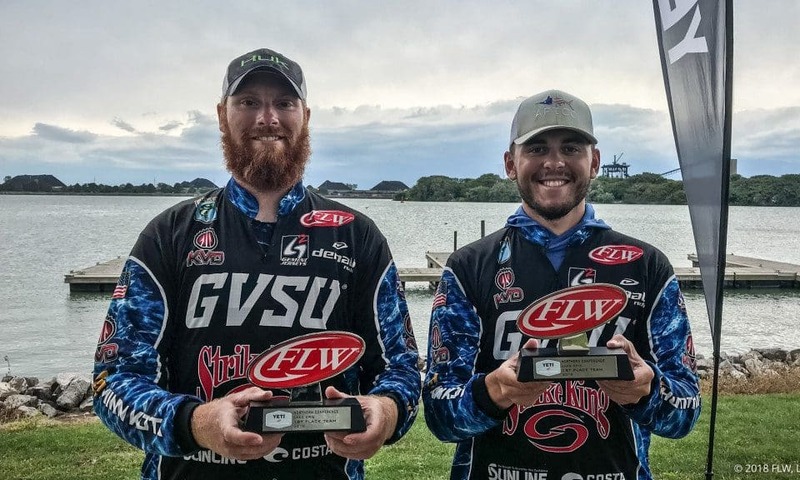 The victory earned the Lakers’ bass club $2,000 and a slot in the 2019 FLW College Fishing National Championship, scheduled for June 4-6, 2019 at the Potomac River in Marbury, Maryland. 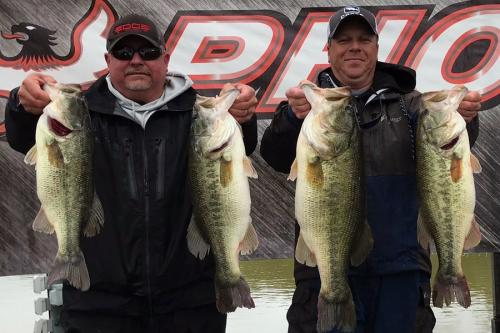 The duo said they spent their day flipping – a green-pumpkin Strike King Rodent in cleaner water and a black and blue-colored Strike King Rage Bug in dirty water. 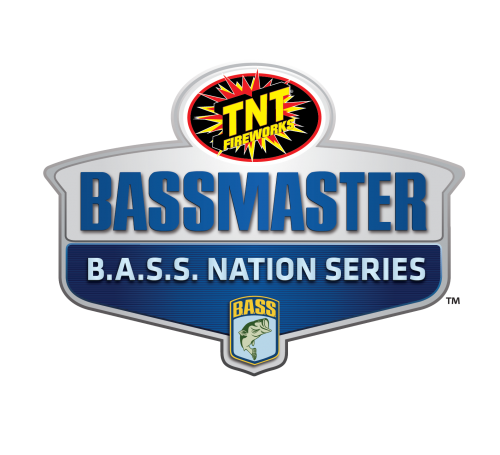 “It was weird because there were pockets of super clear water, but they were surrounded by dirty water,” Hitt said. 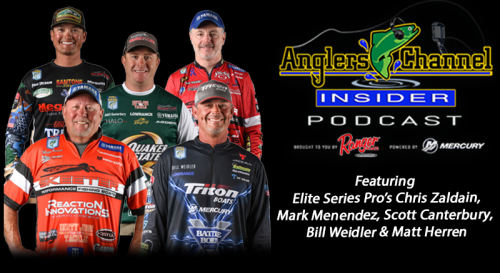 “We caught fish out of both, but we did have to adjust the baits that we were throwing.